In a medium saucepan, heat the milk over low heat until warm. 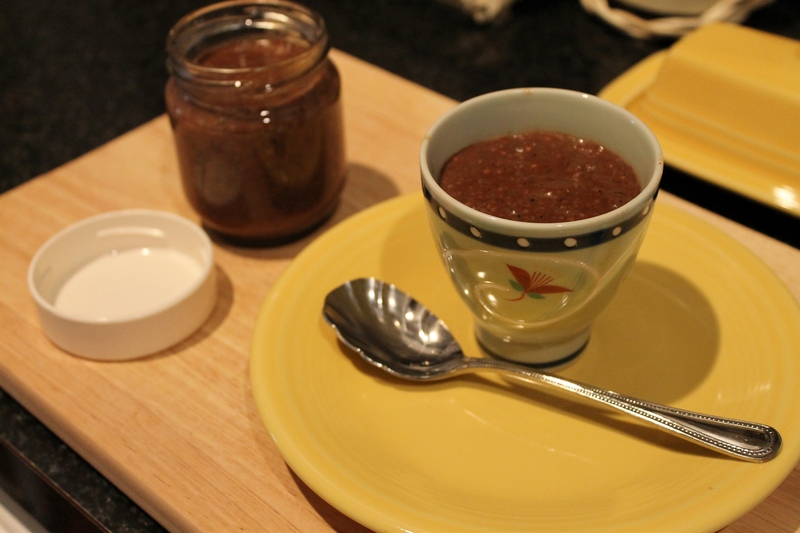 Whisk in the cocoa, honey, and chia seeds and bring to a boil. Let simmer, stirring frequently, for about 10 minutes, until the mixture starts to thicken. Remove from heat and let sit for 10 minutes until the pudding has started to set. Serve immediately for warm, soft pudding, or refrigerate in small bowls or jars and enjoy later. The pudding will get even thicker as it cools.